Monday is interview day, and I am glad to present you this interesting interview today. UL gear is still hard to come by in Europe, especially if one wants gear from cottage manufacturers - postage, import taxes and duties and other fees make UL cottage gear expensive in Europe. Henrik Raßmann, the owner of the trekking-lite-store.com tries to make the life of UL backpackers easier by selling gear from MLD, Tarptents, ZPacks, Gossamer Gear and other UL brands here in the old world, so take a cup of tea and enjoy this interview! Henrik, please briefly introduce yourself and tell us who you are. 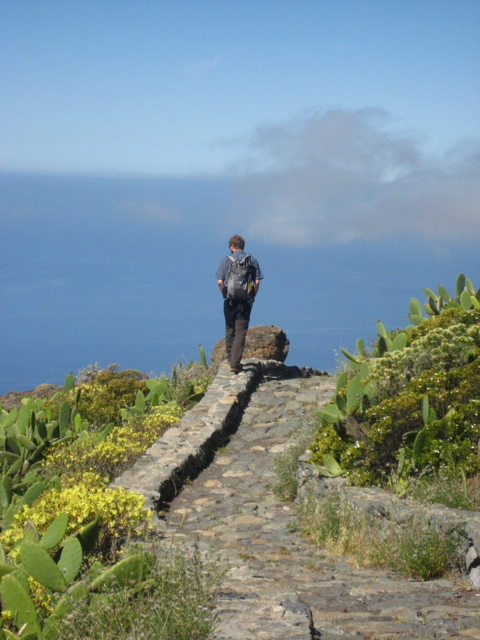 My name is Henrik Raßmann, and I am the owner of the trekking-lite-store.com which was founded at the beginning of the year. 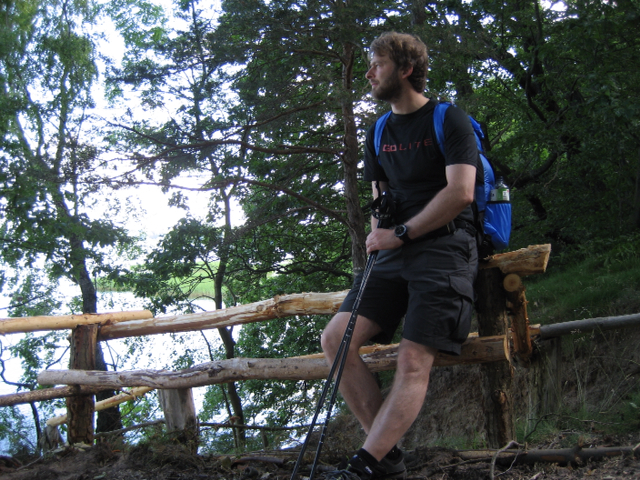 I am an outdoor and hiking fan, 35 years young, a married man and father of a newborn. Basically I am a water sports enthusiast from childhood on. I paddled very often through Sweden, Eastern Europe and Canada. Always I remanaged my pack afterwards, which means testing, optimizing, self-improving, ordering new stuff and testing again. That starts with a radical reduction to the minimum, then using only natural stuff like cotton, wool, wax-cotton, leather, rubber-ponchos, steel, a newbuilt Wood-Canvas Canoe, an very old folding-kayak. Like the pioneers in the 50´s I made my trips by feet and by kajak. That brought me the strongest and most important experiences in outoor living. Taking notice of the weather became very important. 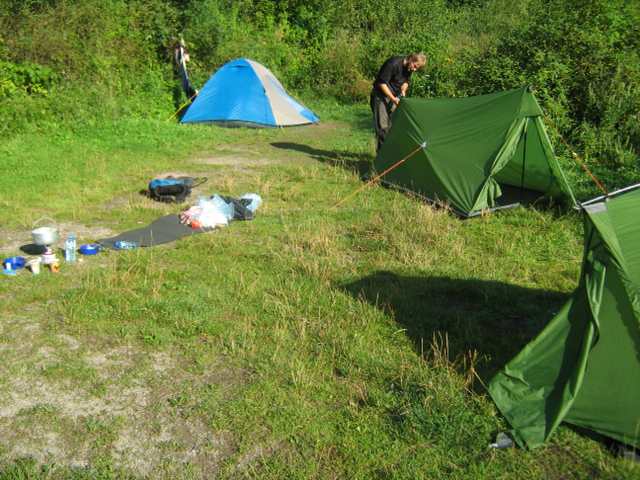 Nowadays the experiences are unpayable experiences for UL-Tarp-Trekking. Using open cooking fires, wax-cotton stuffsacks and clothing and all the other oldfashioned stuff brought me extremly close to living in nature with a minimum of gear. At that point I didn't care about “baseweight”. Also as a touring guide, I am gaining outdoor experiences since the early 90s (Mainly in Sweden). Later in 1997, after carrying the heaviest backpacks ever through Sweden, I have started reading more about optimizing trekking gear. At that point, after all my trips, I always questioned my gear regarding weight and functionality, so that over the years I had my lessons learned. An old friend and hiking partner of mine gave some advice about lightening up in a lot of gear talks when we crossed the woods. Then one day he sent me a copy of Ray Jardines book. 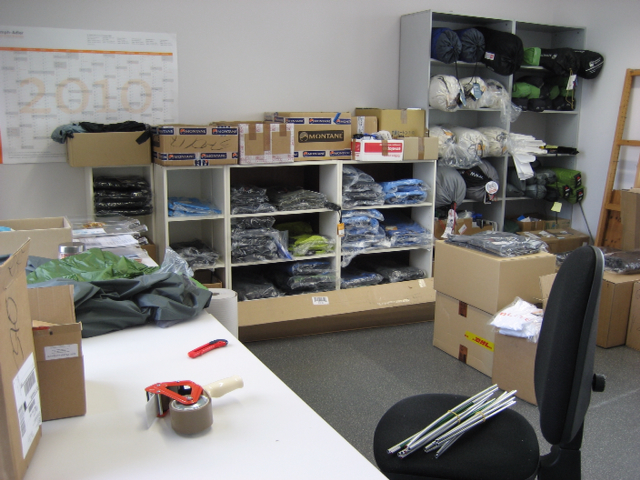 That was the invisible start for trekking-lite-store.com a lot of years later. The next step for me was to change and to lighten up my minimum gear. I tried some tents till I came to my first Kerlon-MYOG-Tarp. Aluminium became Titanium, PU-coated nylon became thin SilNylon, Stuffsacks were made of cuben. I got my first 7 gram spoon, my first 9 gram headlight, cut my eva-mattres and so on. Yes I call myself an UL-backpacker, but I am not using extrem solutions. My baseweight for a 3-day-hiking-trip is about 3900 gram. Adding water, food and fuel makes a 6000-6500 gram weight. Easy to handle with my Murmur. Trekking-Lite-Store.com is a new UL Shop in Germany, which also sells US cottage gear, for example from Tarptent and Mountain Laurel Designs. Can you tell us a bit more about how you decided to start the company, if it was difficult to start a such a specialized business in Germany, and how you see the future of your business? After some really good jobs in a planning office in Berlin and as project leader at a young travel agency I knew that I want my own business. In the “outdoor” area I got my best skills. The typical questions when preparing a tour ever were the same: What do I really need? Is there a way to lighten stuff? Will it be tough enough for a while? And where can I order these things? Especially the last question ever took me to the same problem: There are many manufacturers and many merchants, but there is even more stuff. To get good lightweight gear some extensive researches were needed and I had to order overseas in some cases. So, I had the idea to form trekking-lite-store.com to offer the lightest outdoor-equipment and functional clothing for trekking and outdoor, produced by well known brands and garage-manufacturers all in one store. It was very exciting to start my own business, to go that way, to be my own boss and worker. The most important job was planing all processes of the shop, to realize the design and software. I got in contact with a lot of cottages and manufacturers. Most of all cottages like TarpTent and bigger players like GoLite and Montane supported me since the first steps before founding. Founding in Germany sometimes were bureaucratic but easier than I thought because I got good partners and mentors. The feedback from the last OUTDOOR in Friedrichshafen shows me a lighten up trend in every gear category. So UL is not longer made for a little group only. Are your clients already UL backpackers, or are there also people who just start to lighten up their loads? Some customers of mine start to lighten up their gear, some like lightweight backpacking, others are hiking UL and SUL. Henrik, we love to be let in on the work-in-progress stuff! Can you let us know what kind of new products and companies you're planning to get into the shop in the future? Some deliveries will come from Bushbuddy and Four Dog Stoves next week. It is planned to increase the portfolio of the offered brands, maybe the TiTri from TrailDesigns will coming soon, the Sublite Sil from TarpTent (I got this week.) And next spring a women's collection of clothing and sleeping bags will also come. What is the current best-seller, and where do your customer come from? Best-sellers are tents, packs, cooking ware and clothing. Mostly I sell in Germany, but I have delivered to Denmark, Netherland, Luxembourg, France, Austria, Switzerland, Italy, Sweden, England, Australia and Japan. Are you in touch with other shops and UL manufacturers in Europe, the USA, Japan or other places? Oh yes. A lot of manufacturers are situated in (East- and West-) Europe and the well-known UL cottages in the USA. At the Moment the Murmur rocks all my trips, sometimes the Jam, sometimes the ION over a day. As sleep system I use a combination of two ultra thin Eva Torsos plus short Neo Air, Yeti V.I.B 150 plus Sir Joseph Koteka 290. My favorite shelter is my seam sealed Contrail or a MYOG Tarp for two. For my next Autum trip I will use the Terra Nova Solar Elite. 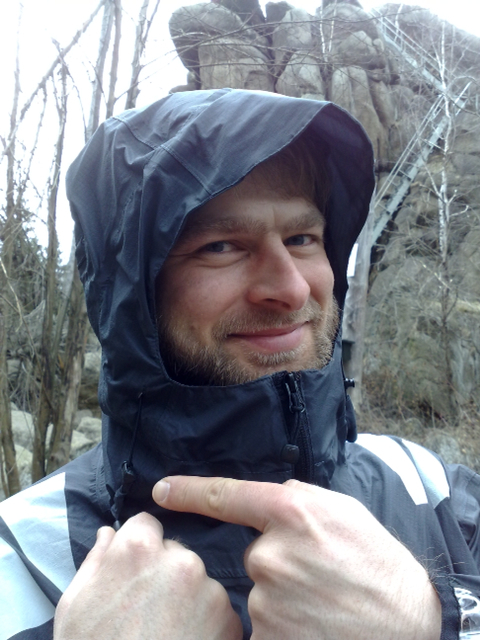 When it is rainy I carry always my ultra-light Vertical Shelter or when it is windy my Montane Dyno Jacket. I am planning new trips when I have the time to make one. For the next year there are some longer trips on my memo board. My last five trips this year brought me to the big lakes in Mecklenburg. I circled them in two, three or five days. Base weight without fuel and food was round about 3500 gram. Oh yes, it will become more popular, if you look at all manufacturers in Europe. They lighten up their stuff, because materials become lighter but have the same strenght and durability. Magazines are writing about UL and lightweight backpacking, Blogs too, You Tube and TV show a lot, from equipment to impressions from the AT. The market is changing. One Outdoor-Magazin was laughing about UL some years ago, now the show us the latest UL Gear. But some sportsmen always use light-weight gear: Climbers, Bikers (Alpencross), Hikers. Even some pilgrims ask for infos or order gear. But it is a question of experiences to use ultra-light gear in the right way. SUL will be something for a smaller group of hikers, I think. Henrik, I thank you for taking the time to answer my questions =) Is there something you would like to add? You are welcome. Many thanks that I could take part at your interview series! And all the best for you and NORDIC LIGHTPACKING.